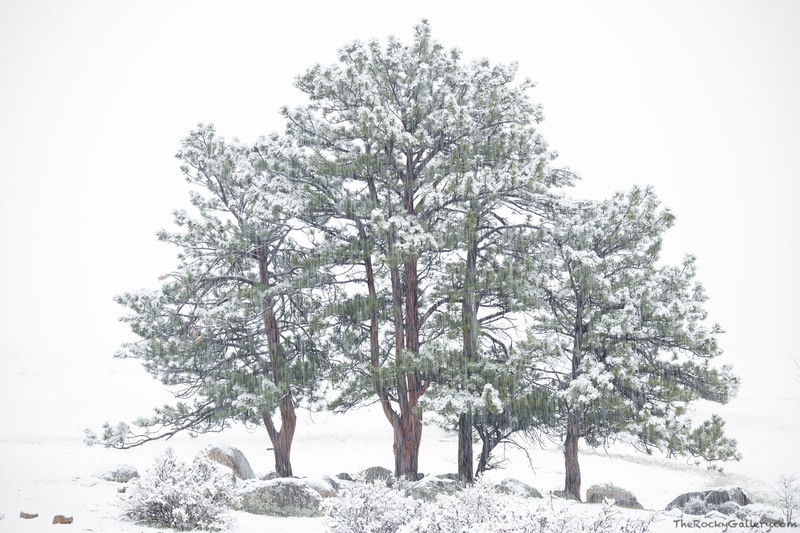 A perfectly symmetrical set of Ponderosa Pines weather a May snowstorm on the west end of Moraine Park. The perfect symmetry of this set of pines has always caught my eye. Nature is often anything but symmetrical but this small portion of Rocky Mountain National Park bucks that trend. Photo © copyright by Thomas Mangan.